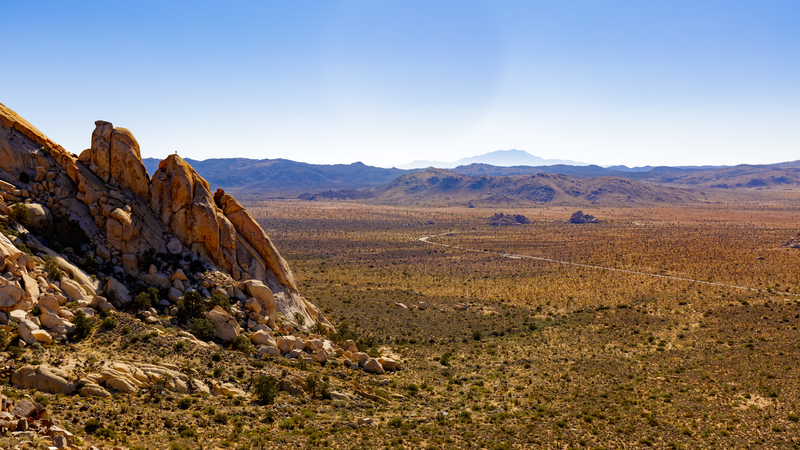 I was just minding my own business… enjoying a hike in Joshua Tree National Park… taking in the view… taking this photo… when I noticed a PERSON STANDING on top of the middle outcropping of rocks on the left side of the image! (Click on the image for a larger view.) So crazy and, so cool! Think I prefer being on the ground, ha-ha!!! But, what a great view either on the ground or where that person is!!! I see them! Cool catch and image! Thank you Denise and thanks for stopping by! !